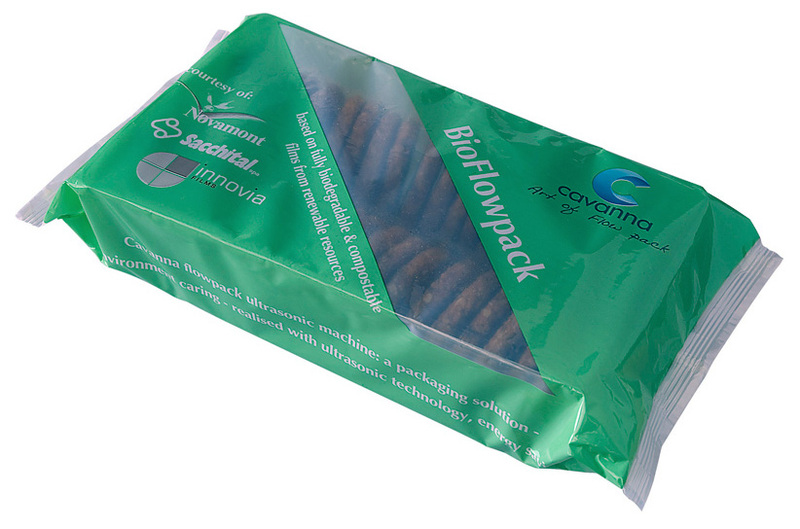 A fully biodegradable and compostable flow-pack that provides all the required specifications for packaging biscuits with a reduction of fossil base materials: high seal strength and integrity, high barrier to oxygen and water vapor. The packaging has been manufactured using a Cavanna energy saving packaging machine with ultrasonic technology. The compostable film consists of MaterBi® for Novamont and NatureFlex™ NK from Innovia Films, printed and laminated by Sacchital.